Fall is season of change. 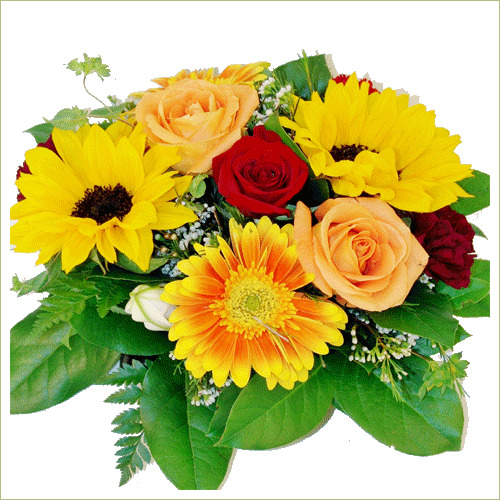 As the leaves change, these yellow and orange Gerbera daisies and sunflowers match the theme. Peachy roses and red roses set each other off nicely.